The Technology Alliance Partner (TAP) Program enables companies to partner with the global leader in virtualization, with more than 480,000 customers worldwide. Get the tools and resources to build and deliver your solutions on the VMware platform. Test, integrate and package Application Software, Infrastructure and Hardware products with VMware products across the Software Defined Data Center, End User Computing and Hybrid Cloud areas – on premise or in the Cloud. 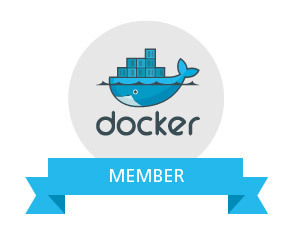 Docker provides a completely open platform for developing distributed applications. Customers turn to Docker to build, run, and deploy, portable cloud ready applications. Our base program membership is free. Partners can pursue an “Authorized” status in any of our programs to obtain a richer set of benefits. There are authorized members for every partner type in our program.